Gardening. Banner with summer garden landscape. 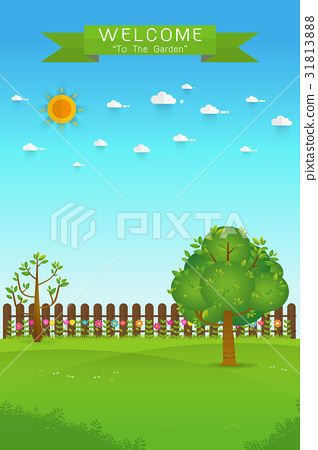 tree, flower bushes, wood fence and lawn. Flat style, vector illustration.